Great artists working with paper today are creating incredible artforms. 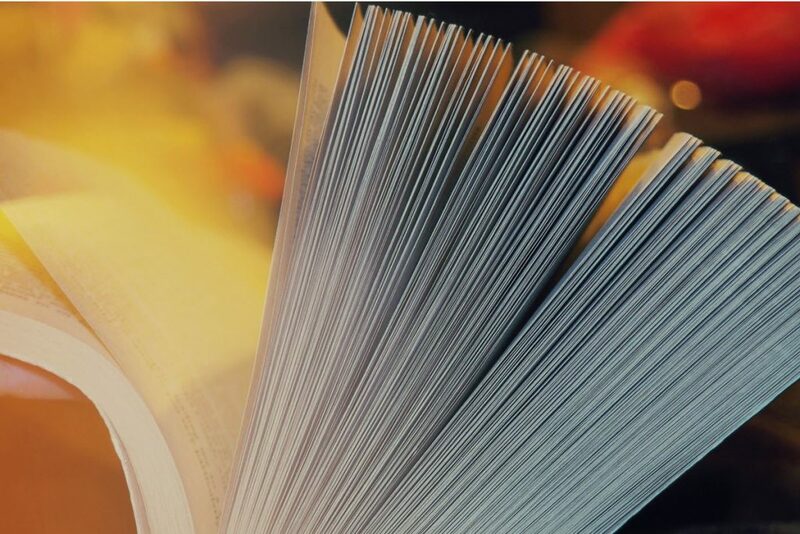 Business Optimizer takes a look at four inspirational paper artists. American artist Robert Lang started making origami when he was six years old. 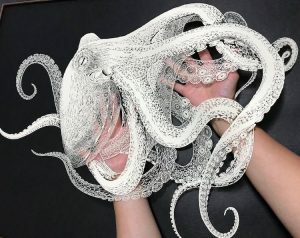 Since then, he has evolved his craft to merge traditional paper-folding techniques with mathematical theory to create highly original paper art. Lang believes that, although the art of origami is hundreds of years old, in the last hundred years the artform has evolved hugely – thanks to the application of maths. In his TED talk, Lang explains that, based on just four simple rules, it is possible to develop highly complex designs. As well as being a fascinating watch, his talk is a great opportunity to see some of Lang’s amazing paper designs. 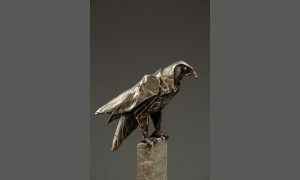 If you’d like to see them in a gallery setting, this year you’ll need to visit Tennessee, California or Ontario. In the Gaza Strip the unemployment rate sits at more than fifty percent. For artist Ahmed Hmeid, securing a future in this environment meant thinking creatively about how to make a living. Growing up in the Nussairat refugee camp, Hmeid began to express his art through graffiti. One day, he came across images of the Japanese art of paper folding and his interest shifted. 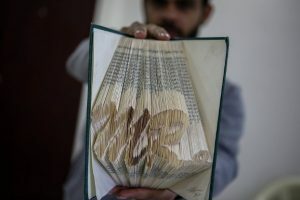 The Palestinian artist has bought something new to the genre: he uses worn and donated books to make his paper art. Unfortunately, it is not possible to see Hmeid’s work in a gallery setting at the moment. Since Hamas won legislative elections in 2006, Israel has imposed a crippling blockade on the Gaza Strip. Residents face tight restrictions on movement in and out of the territory. Kirie might be a lesser-known Japanese paper art, but it has an equally illustrious history as origami. Literally translating as “cut picture”, the craft is hundreds of years old. Japanese artist Masayo Fukuda has been producing paper art using the Japanese art of paper-cutting for decades. In doing so, she has pushed the boundaries of what is possible. To view Fukuda’s in a gallery setting, this year you’ll need to visit the Miraie Gallery in Osaka, Japan, from April 24 through April 30, 2019. Quilling is a relatively new artform on the paper crafting block. One of the most interesting artists working in this field is Istanbul-born artist Sena Runa. Her talent for colour and composition when working with paper has enabled her to pursue a second career in paper art. Although you can’t visit Sena’s work in a gallery, it is possible to purchase her artworks online via her Etsy shop.